Where do we start with Banksy; the man? The myth? The legend? This is the dilemma we faced when writing this article. But his renowned, international status suggests an interesting paradox – as a graffiti artist, Banksy is “anti-establishment” and yet he is a commercial success, rather unusual. It is interesting here to question whether Banksy’s subversive ideas are genuine, and if not – what is the substance of his art? Some see graffiti as an instrument to criticise society (see GATS: literally, Graffiti Against the System). In his book, ‘Banksy: Wall and Piece’, our eponymous hero follows this vein: “The people who run our cities don’t understand graffiti because they think nothing has the right to exist unless it makes a profit”. A bold statement to make in a book that sold prodigiously and was very profitable for Banksy’s wallet. Doesn’t this commercial aspect of his work go completely against the idea of graffiti as “noun (singular graffito /-təʊ/)[treated as singular or plural] writing or drawings scribbled, scratched, or sprayed illicitly on a wall or other surface in a public place”? (thankyou Oxford dictionary) Through this medium, graffiti has been taken out of its original context on the street and is now being displayed on someones coffee table or on ‘string’ coloured Farrow and Ball walls. Although through this success, Banksy is perhaps raising awareness of the Graffiti world, his work is not necessarily original or respectful. His rat motifs, for example are instantly recognisable by the General Public as Banksy. However they are also familiar to Blek le Rat (its all in the name) who started stencilling rats on the streets of Paris in the 1980s. This disrespect towards other graffiti artists is also clear from the last day of Banksy’s month long self-appointed residency, ‘Better out than in’ in NYC. On his last day, Banksy created ‘An inflatable throw-up on the Long Island Expressway’. Seemingly harmless in comparison to other more overt political works, this set of balloons is actually within 2 metres of the tag of ‘Nekst’, one of the greatest graffiti artists of all time who recently passed away. Even if you don’t like him, it is sacrilege not to acknowledge this. So is Banksy simply a fraud? Despite what we have just said, no. He may be a contemptuous, commercial copycat, but essentially Banksy is raising awareness of the importance of graffiti – not only its beauty, but also its universal accessibility both in terms of location and appreciation. Think about the art that surrounds us in an everyday context – keep a look out by the library, on dustbins, on the tube…because this is the essential (often misrepresented) function of graffiti – to embellish the world and make art more accessible, exhibited ‘on the best walls a town has to offer’, ‘where nobody is put off by the price of admission’ (Banksy, Wall and Piece). Isabella Manning and Francisco Cesar Das Neves are two second year students at the University of Edinburgh. Francisco is in a league of legends when it comes to graffiti – he is a God. Isabella is a pseudo-vegetarian who had pork chops for supper last night. They share a love for the 2011 French film Intouchables – watch it or regret it. I read this article and found it very interesting, thought it might be something for you. 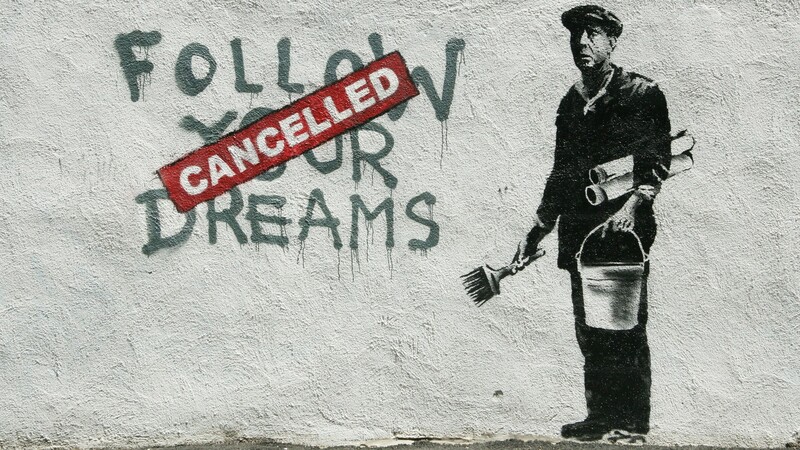 The article is called Banksy: friend or foe? and is located at http://prancingthroughlife.com/2013/11/19/banksy-friend-or-foe/.